Last month I picked up this very clean and all original 1980 GS1000G (shaft), one owner, titled, 8K miles, last on the road 1988, came with a new-in-the-box AGM battery, original tool kit, factory service manual, was running last year (only on choke), now just needs carbs cleaned haha. Let's see some more NESR UJMs. Post 'em here, if you are so inclined. Last edited by whynot; 04-11-19 at 04:57 PM. 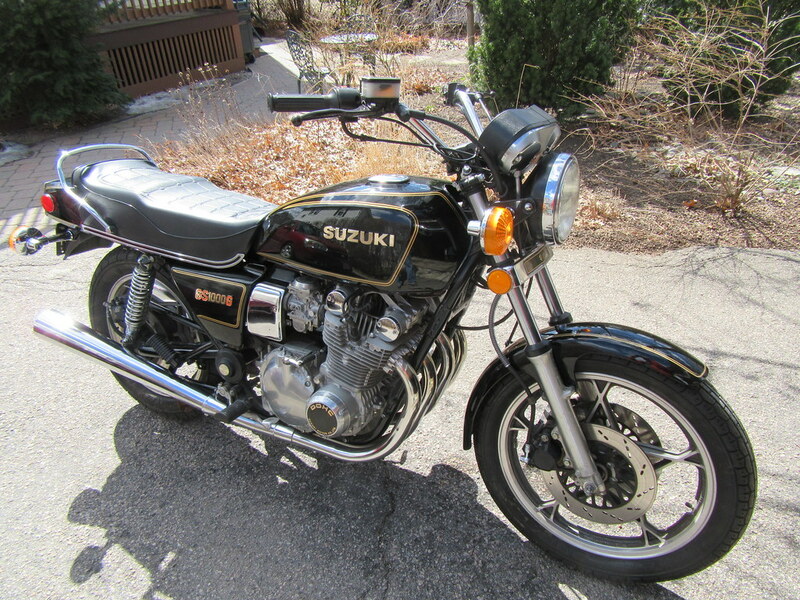 My first bike was a 1979 GS750. Like this only had a luggage rack. 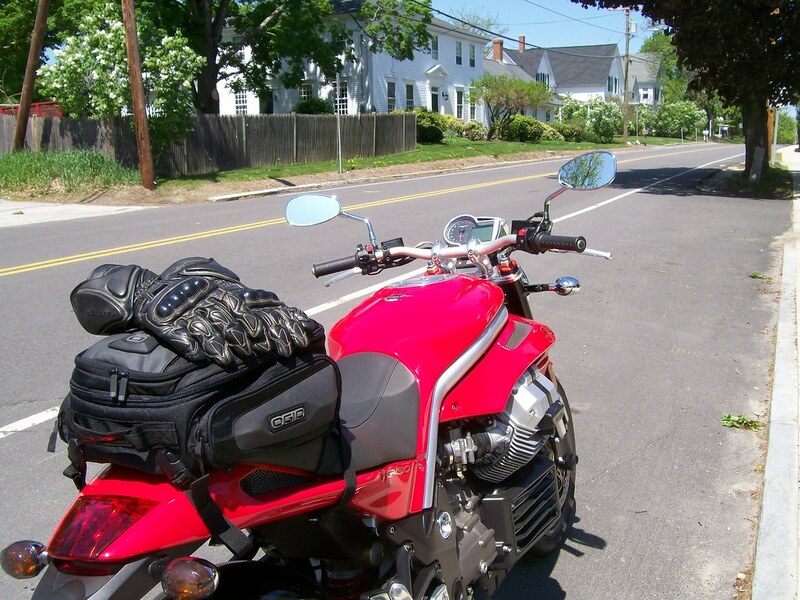 Bought it for $2,000, rode all over the Northeast for two months, sold it for $1,800. Chrome fenders, of course. Sweet! Love em. 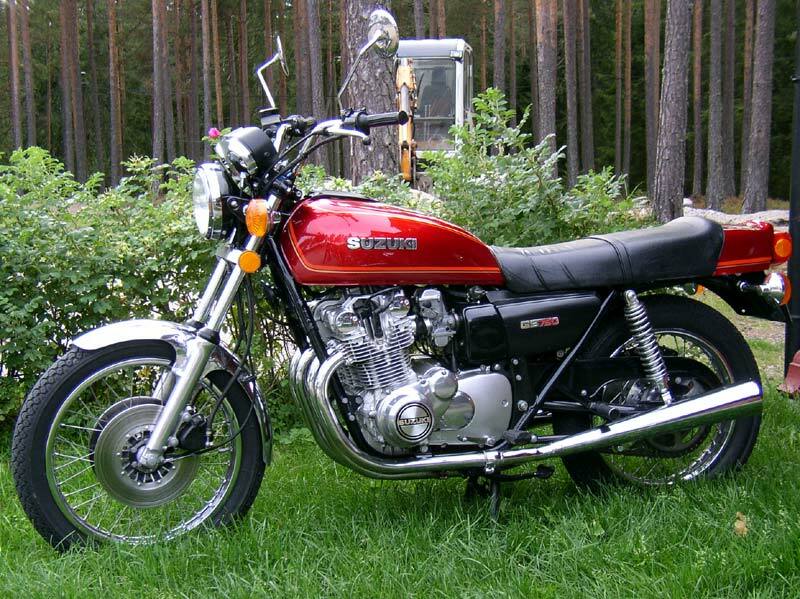 My first bike was a 78 cb750 SOHC. never should've sold it. Universal Japanese Motorcycle. Sometimes called Standard Japanese Motorcycle (SJM). Usually a late-1960s-onward transverse four, 4-stroke, standard seating, naked, not a sport bike ... . I'd say the CB750 started it. Last edited by whynot; 04-11-19 at 11:40 AM. I have this. 1978 Honda Hawk CB400. My dad did a low-buck cafe conversion on it. I took it apart a few years ago and haven't gotten around to putting it back together yet. Frame is 2 part as well, stamped steel spot welded together down the back. Last edited by feralchimp; 04-11-19 at 10:24 AM. Last edited by whynot; 04-13-19 at 10:26 AM. Last edited by whynot; 04-11-19 at 12:19 PM. Last month I picked up this very clean and all original 1980 GS1000G (shaft), one owner, titled, 8K miles, last on the road 1987, came with a new-in-the-box AGM battery, original tool kit, factory service manual, was running last year (only on choke), now just needs carbs cleaned haha. You need to join this forum then. I’ve been there for about 10 years. Tas -- thanks -- I joined a couple of weeks ago -- fantastic resources. Found a link to an excellent CV carb tutorial, HI-RES pics, tools you need, and so on. But first it looks like I have to get the calipers off and cleaned up at least -- the front brake hangs now when applied. The PO changed the engine oil last year, but I'll do it myself again, got the filter, ... and the final and intermediate drive lubes, too. New tires on the list. And so on. I'm hoping to register it with a YOM plate, got a new, never issued 1980 MA plate on eBay. Last edited by whynot; 04-11-19 at 05:00 PM. wait. WHAT portfolio were/are you building!!! Page generated in 0.175 seconds with 18 queries.